The Laerdal is a river that is one of the best known locations to fish for Atlantic salmon in the whole world. The Laerdal’s sport fishing history is long and rich but also tragic due to infection of the salmon parasite, Gyrodactylus salaris. As a result of an extensive amount of work and money spent to renovate fish stocks, the river was re- opened officially in 2013 – and to the joy of salmon and sea trout anglers, the Queen is back! The salmon are rising right now! But how to succeed in this peculiar fishing for fish that do not eat? Mikael Frödin has spent more days fishing than possibly any other Scandinavian. These tips really work! A few years back I found on the internet a very interesting site called www.vintageflyreel.com. 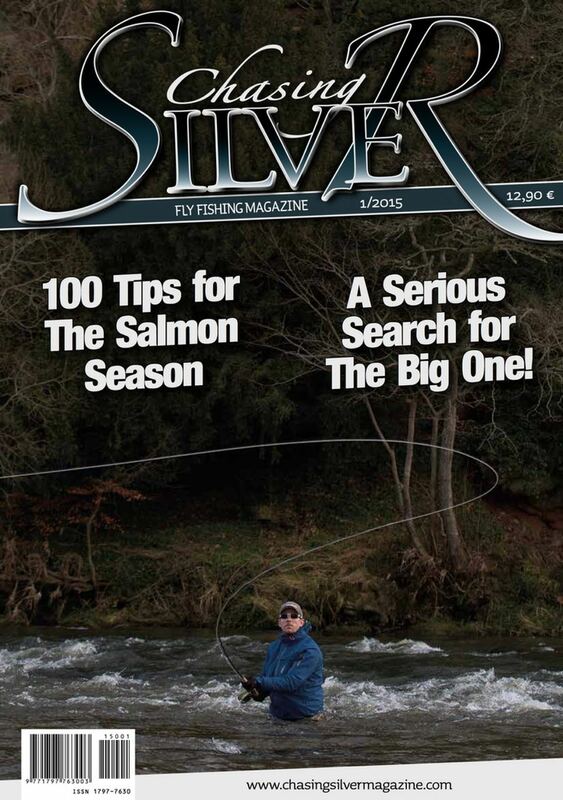 I looked at those reels many, many times, and later on, when I decided to take the job of Editor at Chasing Silver, I decided to contact the owner of the site and ask if I could write an article about those reels. “My dear, how do you expect to find it when you are looking in all the wrong places?” This was the answer my father gave me when I was explaining my worries about finding the big salmon. It took me a while to realize it and to accept that fact. Standing in a river and fishing for Atlantic salmon is one of the highlights in my season. It is my holy week and is still untouchable. I love my wife and kids but I also love myself so I go, year after year. I always prepare well for any kind of situation, either high or low water. Fly fishing in a new place is often very challenging, and if you are a beginner, don’t even think about starting fly fishing without professional guidance. We tested 21 new reels for salmon fishing in classes 7 to 9. This is part two of the test covering reels in category “under 400€”.